We've all been duped into a bad handbag purchase -- the bag fell apart weeks after you bought it, you mistakenly thought you'd snagged an authentic find -- so here's how to avoid wasting money again. 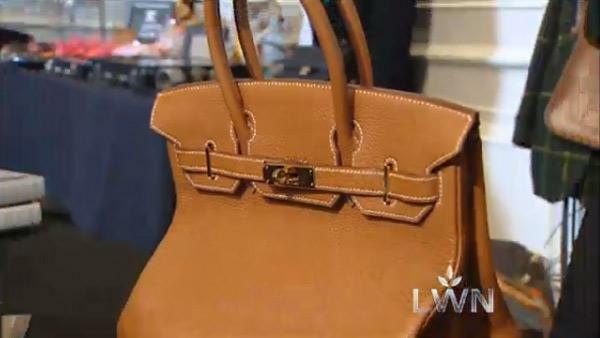 Donae Chramosta, curator of "The Vintage Contessa" collection of pre-owned, luxury handbags, says there are lots of little details to look for when buying a quality handbag. This will tell you how the bag will wear. Leather textures such as Epi, Caviar and Pebble will look better longer than a bag made of lambskin or suede. Pick a texture (some are more casual, some are dress) and color that enhances what you already have in your wardrobe. When in doubt, pick black. Everyone needs at least one black bag. Look for consistency in the stitching, snags and pulls of the thread. Make sure the stitching lines up all over the bag. People forget to think about how a bag's handle will fit their lifestyle. A short handle will only fit in the hand or on the arm up to the elbow. If you like to throw your bag on your shoulder, opt for a longer handle. If you need to be hands-free, go for a cross-body bag. Make sure the handle is securely attached to the bag and can support the weight that you might put in the bag (larger bags that hold more will need sturdier handles). Make sure the hardware isn't tarnished. Ask the sales associate if there's a warranty on the hardware. Zippers should be easy to use. Test them before you buy. Feet on the bottom of the bag will keep the bag from wearing on the bottom when you set it down. Check out the leather, especially on the handle. It should patina with wear, meaning it should darken with the oils of your hand and skin. Look at the logo, or stamp, and compare it to the real one online. Many times there will be a very subtle size or shape difference. Look at the lining. It should be a lux material, usually washable, but never pleather (fake leather)! Look at the pattern or print on the bag. It should be symmetrical at all of the seams and never span from one side to the other of a seam.